We are fully integrated with Crazylister, allowing you to create fantastic looking eBay listings fast. Seller Dynamics is fully integated with Crazy Lister giving you direct access from within Seller Dynamics to create, design and manage your eBay templates. With it's drag and drop interface you'll be designing great looking templates fast, just like the other 50,000+ users of Crazy Lister. Crazy Lister is fully compliant with eBay's active content policy and ensures that your listings will always look fantastic everywhere, even on mobile devices. You can find out more and sign up for Crazy Lister here. Setting up is easy - simply drop in your Crazy Lister Token details and you'll be able to use Crazy Lister from within Seller Dynamics. And of course our account management team are there to point you in the right direction. 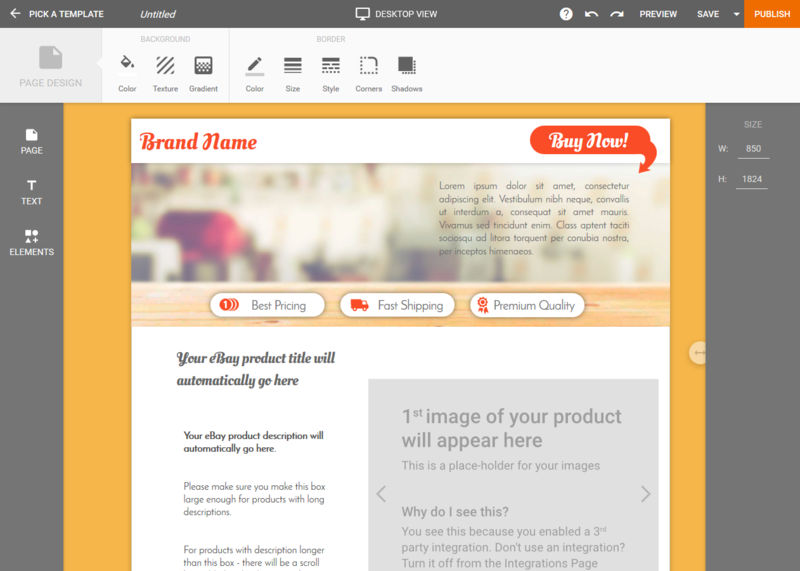 From within Seller Dynamics you can easily access the Crazy Lister editor, giving you the drag and drop features you need to design appealing and valuable eBay templates. You'll need a Crazy Lister account and to have entered your Crazy Lister credentials to access the editor.